● Please note that oversized items, like furniture, personalized items, and items with hygienic concerns – like pacifiers and breastfeeding items – cannot be returned for a refund. ● The company offers free ground shipping for orders $49.00 or more. Keep in mind that for any orders under $24.99, shipping costs will be $6.00, while orders between $25.00 and $48.99, shipping costs will be $8.00. ● Please note that Right Start only ships to addresses in the continental United States. ● Sign up for the email newsletter to receive promo codes like up to 40% off select items or up to $40 off your order when you meet the minimum purchase amount. Keep an eye out for special incentives when you sign up for the newsletter, like 10% off your next purchase. New parents and friends and family of new parents are going to have the opportunity to find the perfect gifts for new little ones at the Right Start online retail outlet. Many of the product categories showcased by this online retailer will help parents lives become a little bit easier when they are getting used to life with an infant, but a considerable amount of these gifts revolve all around the little one as well. Customers have the opportunity to purchase these products at significant discounts from original retail rates, and international customers can order from this website and have promised delivered to their doorstep as well. 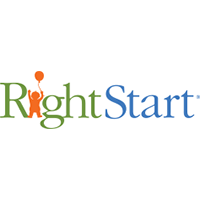 For most up to date offers check out Right Start on Facebook and Twitter or contact Right Start Support for any questions.